Extra! Extra! Read all about it! Great pizzas are hot off the press at The Pizza Press, the highly anticipated new restaurant in Old Towne themed after nostalgic newspapers of yesteryear. Pictured is Dara Maleki, a successful restaurateur who once worked in the printing industry selling printing presses. 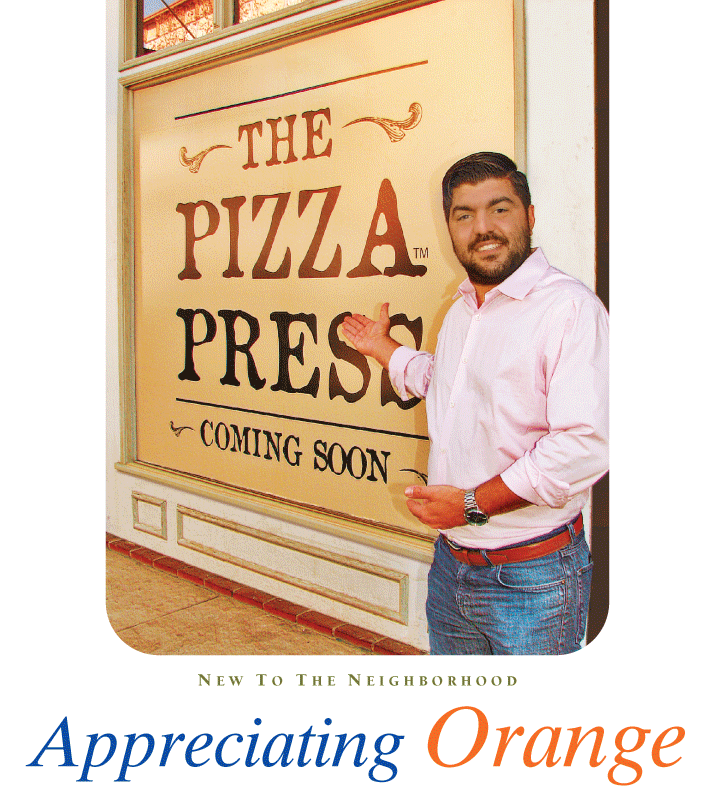 Newsworthy pizza is just around the corner as the much-anticipated opening of The Pizza Press comes to Old Towne Orange this January. Located at 155 North Glassell, The Pizza Press features a signature roster of delicious new creations and old classics named after newspapers like The Chronicle, The Times and The Sun. Guests can “Publish Your Own Pizza” for a completely customized pizza prepared right in front of them. The Roaring Twenties décor pays homage to the newspapers of yesteryear. With 24 taps of beer on the premises, the restaurant promotes local breweries and the craft-beer movement. The restaurant’s location near Chapman University bodes well for success. Dara anticipates it becoming a great hub for students and the community to gather and socialize. Born and raised in OC, Dara has worked in a variety of professions—including in the print industry selling printing presses—before becoming a restaurant franchisor. Additional locations of The Pizza Press are in the works in California and Arizona.